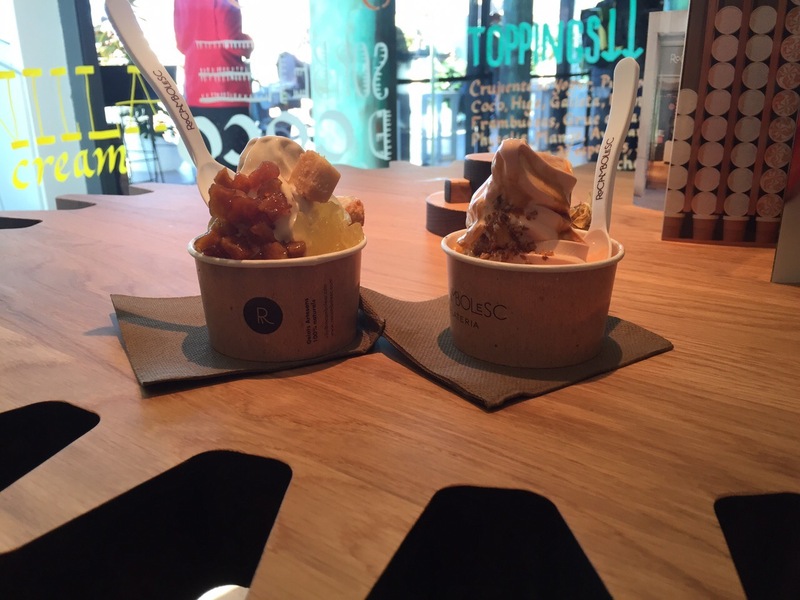 Rocambolesc – who feels like an ice-cream? The weather in Madrid this weekend feels more like summer than spring, temperatures have gone up and everyone has ever so quickly gotten into their shorts and sandals. Blue skies and a warm sun makes you feel like going out and not staying cooped up at home. I am no very fond of ice-cream in winter but I do love a good scoop when the weather is nice. 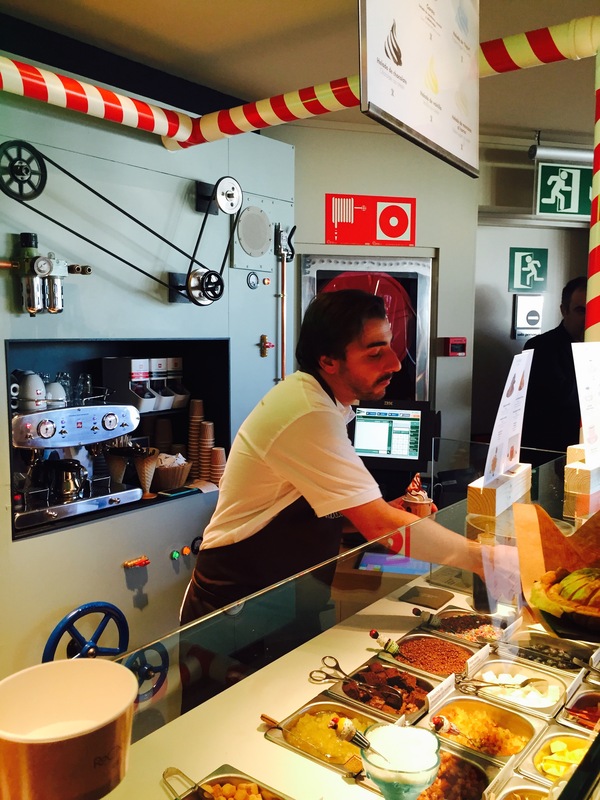 Many of you have probably heard of Jordi Roca’s Rocambolesc in Girona. 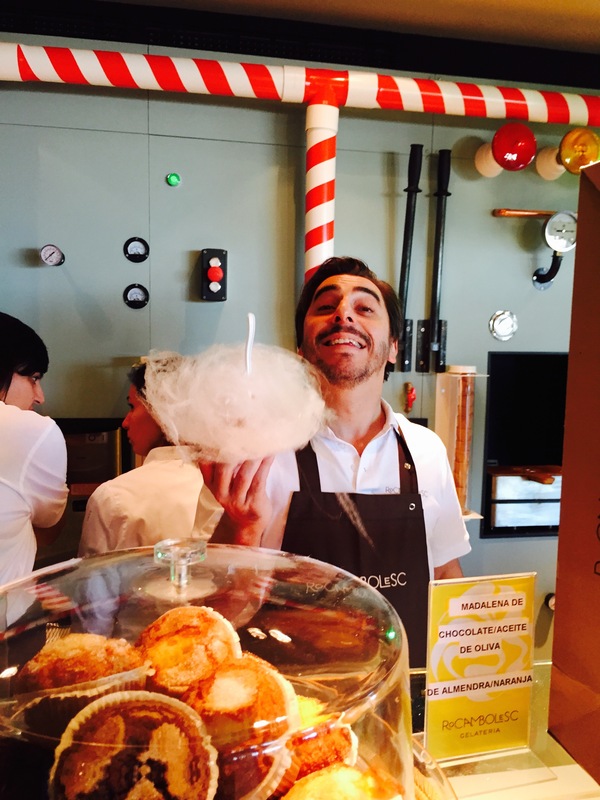 I am happy to say that now you can try out his ice-creams in Madrid as well at El Corte Inglés Gourmet Experience on 52 Serrano Street, right next to Street XO and Cascabel (more on Cascabel next week). The corner is ever so charming conjuring up memories of Willy Wonka and the Chocolate Factory. Who hasn’t dreamt of being in a candy land? There aren’t tons of different flavors and most of them are classic such a chocolate, Maria cookie, vanilla, roasted apple but what makes these ice-creams special are the toppings. I think you would really be missing out on them if you just ask for a plain scoop. You need to order the flavor with all the toppings meant for it. One of my favorites is roasted apple. Another option is to get creative and add your own but if it is your first time I strongly recommend that you let them do the work for you. A place to stop and cool off. It seems that we normally adapt our gourmet experiences to our destination and rarely is the journey exclusively intended for a singular restaurant but El Celler de Can Roca deserves the kilometers. The anticipation doesn’t start on the day of the reservation but much further back, months before, when you book the table and the date lingers in the back of your mind bringing a smile to your face from time to time as you know the designated moment is gradually getting closer. 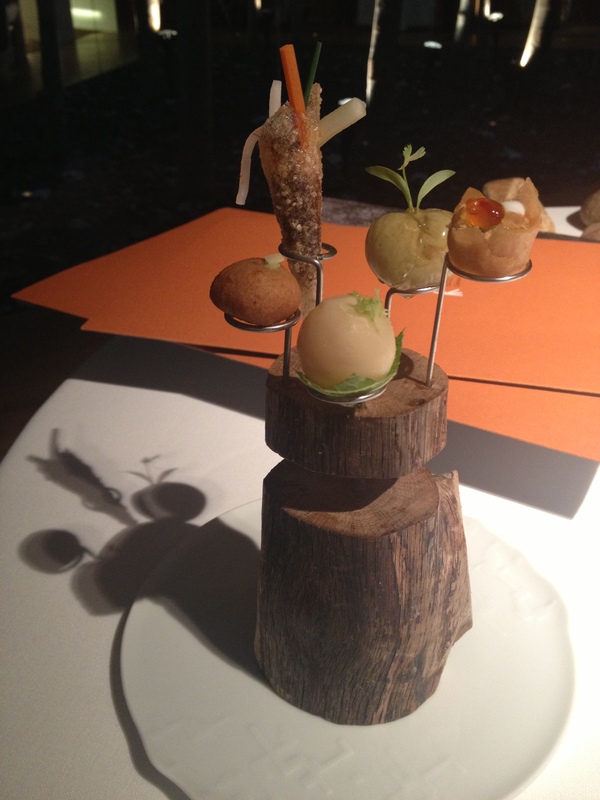 For us, excitement is in full bloom when we enter the taxi, telling the driver we need to go to El Celler de Can Roca. There is no need for any further detailed explanations; all taxi drivers in Gerona know exactly where it is and they are eternally grateful for having such a gastronomic temple that attracts so many people to Gerona and has given us a reason to visit the city again and again. During our latest trip, our driver told us about how he had recently taken a young couple who had been saving up for the experience claiming that it was a once in a lifetime opportunity, and that is absolutely true. 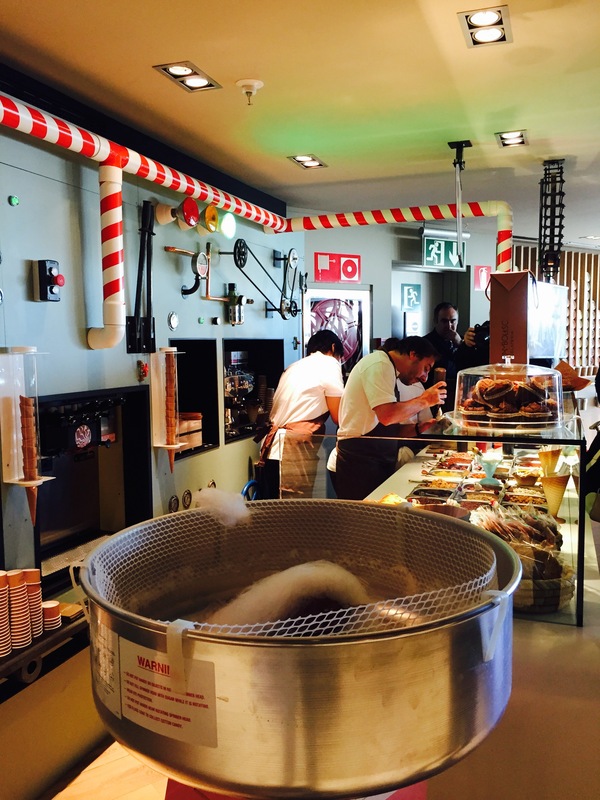 Everyone who values the art of cooking and dining should visit El Celler at least once in their life. It ought to be some sort of obliged peregrination. While you are walking up the path that leads to the patio where you can see the original stone house and add-on designed by Tarruella&López+Trenchs you can’t help but feel goosebumps as you know that an amazing experience awaits. For us, it is our version of Disney World; we are marveled the entire time. The restaurant is elegantly designed setting the tables around a triangular courtyard where the trees act as sculptures. Each centerpiece is three stones representing the three brothers: Joan, Pitu and Jordi because Celler couldn’t exist without the three. They are a clear example of genetics working at its best, three siblings each unique in their own special way. Joan, the mastermind in the kitchen, knows how to artfully combine elegance with innovation making each meal not only surprising but fun. Pitu, an outstanding wine taster with a privileged sense of smell and last but not least, Jordi who I believe is simply nuts. Honestly, who would come up with an ice-cream that tastes like a cigar and which is ridiculously delicious or find inspiration in a perfume for a dessert? The three, woven together, make Can Roca. A trip around the world: Mexico, Peru, China, Morocco and Japan. These bite size snacks evoke different memories.